Industrial Alkaline Cleaner / Degreaser + Corrosion Inhibitor. Best Special Purpose Cleaner and Degreaser that Shows you Results! 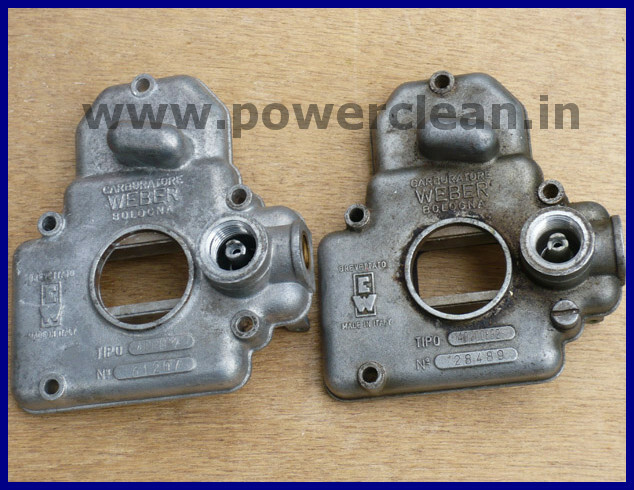 POWER CLEAN SP is a very effective degreaser which gives additional rust protection for days. If you plan to clean/degrease metals such as carbon steel, mild steel and MS steel that are prone to flash rusting, then POWER CLEAN SP is your best choice to prevent them from rusting after cleaning with an aqueous product. POWER CLEAN - SP has been specially formulated for low-foam cleaning with additional corrosion protection for an extended period of some weeks. However, this stainless steel cleaner can also clean all ferrous and non-ferrous metals. It is safe for use on all metals and requires no extra steps for most applications. POWER CLEAN SP is best suited for a cleaning application where the most powerful cleaning action is desired for different types of metals that are cleaned in the same parts washer. 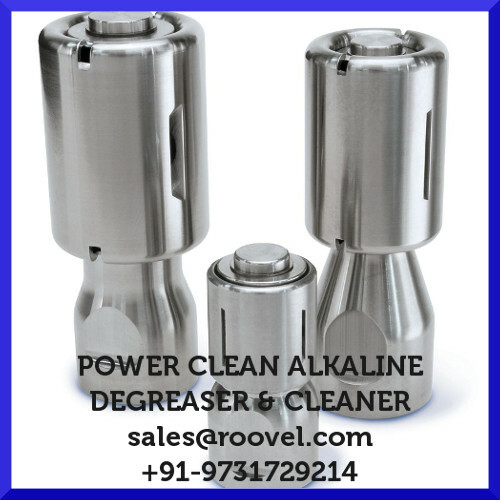 POWER CLEAN - SP is low foaming and a slightly alkaline pH degreaser/cleaner for use in manual, ultrasonic, spray wash, immersion and several other machine cleaning applications. This safe-handling alkaline cleaning solution can be used for non-corrosive cleaning. 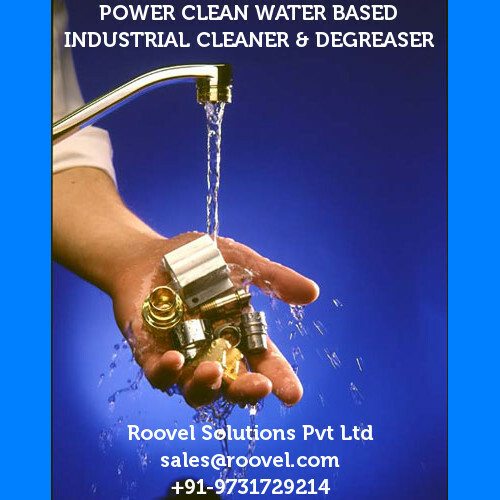 POWER CLEAN SP aqueous/alkaline degreaser and cleaner is supplied as a liquid concentrate that you can dilute with water in 1 - 15% concentration by volume depending on the contamination and at an operating temperature range of 40 to 50 degree Celsius. You can use this alkaline cleaning solution for a hand wipe, in a solution spray and even mechanical or ultrasonic agitation to enhance its cleaning effectiveness. In case of dry oil, grease, polymers, adhesives or inks, soak the parts in this alkaline cleaner until the residues are removed. The parts can then be wiped with a damp rag or rinsed off with warm water. Filtered hot air may be used to dry out the parts. For long-term rust protection, use POWER CLEAN SP at higher concentration and DO NOT RINSE. Automotive oil, lapping oil, honning oil, mineral oil, vegetable oil and polybutane oil. Crater and Lithium grease, dirt and dust. Sulfur-based cutting fluids and coolant oil. One of the best products in the market today to clean using water and prevent rust. Prevents Flash Rust after effectively cleaning using water. We tried many product unsuccessfully. POWER CLEAN SP works on multi metals and were able to have one single solution for cleaning all our multimetal parts. We had corrossion issues after cleaning our mild steel and carbon steel components in our water ultrasonic cleaner. POWER CLEAN SP helped resolve the issue. Now we are able to clean the mild steel & carbon steel components nicely with no rust for more than 12 hours before we send it to platting.